RFCVoIP’s ACD leverages all the advantages of IP to maximize user productivity and ensure callers experience the ultimate in customer service... both of which translate into improved business performance and an optimal ROI. RFCVoIP’s open-standards based solution offers protection against obsolescence and enterprise-grade features at a fraction of the cost. RFCVoIP’s support for SIP trunking means your business can take full advantage of lower cost telecommunications services and increased bandwidth. Below is a list of all of RFCVoIP's Formal Call Center and ACD features compared to RFCVoIP's Standard Informal Ring Group Features. 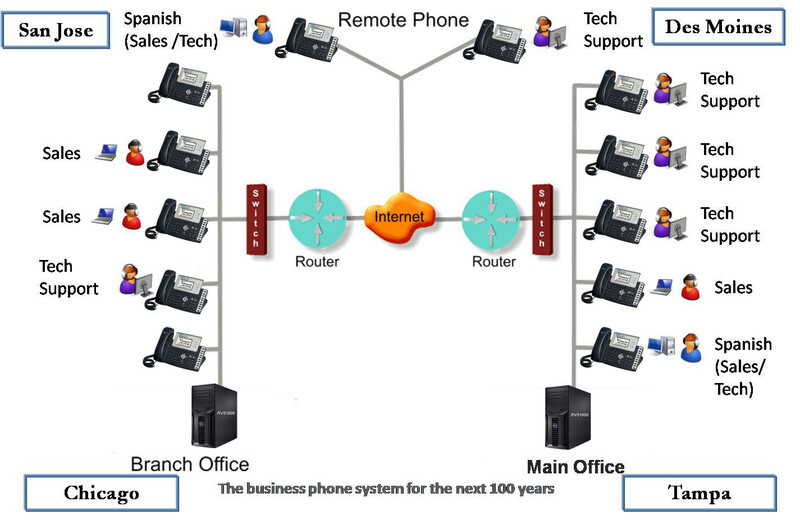 The Standard features are avalailable on all RFCVoIP systems. The Optional Formal Call Center/ACD features are available with the options ACD package.